ZURICH (Reuters) - UBS is to cut an extra $300 million in costs in 2019 after investment banking revenues plunged in the first quarter, Switzerland's biggest bank said, sounding a pessimistic note about full-year prospects. Chief Executive Sergio Ermotti, who outlined the cost cuts in a speech to a London investment conference on Wednesday, said investment banking conditions were among the toughest in years, especially outside the United States. "We are taking actions which will partly offset the impact of the difficult market environment so far this year, supporting capital generation," he said. "At this point I still believe we can achieve returns at least in line with last year's," Ermotti said of the group. Last year, UBS's reported return on common equity tier 1 capital stood at 13.1 percent, while its target for this year is 15 percent. The bank confirmed that Ermotti's comments related to the bank's group-level return on capital and cost-income goals. Return on capital is a measure of profitability. Ermotti said at UBS's investment banking division revenues were down by about a third compared to the strong first quarter of 2018. "We've seen some improvement lately but it remains patchy, and not enough to offset the challenging start to the year," Ermotti said. The investment bank now expects to achieve mid-single-digit adjusted returns on attributed equity for the first quarter, compared to its 15 percent target over the 2019-2021 period and 12.9 percent achieved in 2018. "While clearly not in line with our long-term aspirations, I find it to be an acceptable outcome if it is a one-off in one of the worst first-quarter environments in recent history," he said. Volatile markets and uncertainty about global economic growth hit investment banking revenues in the fourth quarter for many big banks in Europe and the United States. Ermotti's comments highlighted that the first quarter was still tough. Shares in UBS fell 2.5 percent by 1315 GMT, while shares in rival Credit Suisse fell 3.2 percent, with traders citing the downbeat tone of Ermotti's comments. 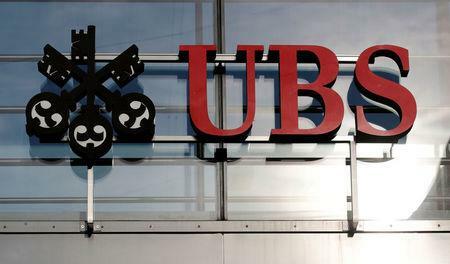 UBS has now slowed hiring as well as its work on a number of IT projects to help the group to save an additional $300 million this year, with most of the savings coming through in the second half of the year, Ermotti said in his conference speech. The bank's flagship wealth management business looked set to return to targeted inflows after $7.9 billion in net new money outflows over the final three months of 2018. Ermotti said a somber view amongst Asian customers, coupled with U.S. clients sticking more to the sidelines, kept transaction-based income under pressure, leading to a roughly 9 percent slide in wealth management revenues this quarter. The CEO said U.S. clients had boosted their cash holdings to record highs, with about 24 percent of their balances now in cash.